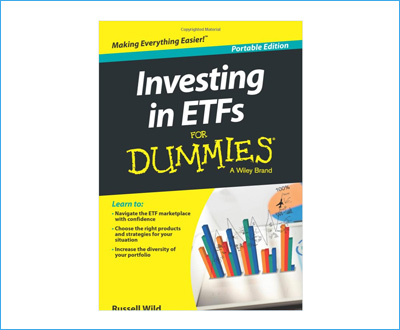 Investing in ETFs For Dummies is a book looking at one of the most recent kinds of investments available – exchange-traded funds. This review analyzes the book to help readers understand whether it will be useful in their investment plans. Exchange-traded funds can be a very complicated type of security to understand, but veteran investor Russell Wild does a very good job of making it easy for even novice investors to get a sense of how these instruments can make a contribution to their portfolio. Wild starts by introducing the history of ETFs and also includes a considerable amount of advice about how to get the best results from investing in them, but the biggest section of the book – almost half of it – goes over the various different types of ETFs, how they differ from each other, and how each one works. That is not to say that the book is very technical. In fact, quite the opposite. The author has a very conversational tone that makes the subject very approachable and even fun to read. Unlike some other investment books, this one does not promise any kind of unbeatable strategy or hidden secret. It repeatedly comes back to the basics of investing: portfolio diversification, balancing risk and return, and good financial planning. While aimed at novices to the investment world, even veterans who have not had much experience with ETFs before will find Investing in ETFs For Dummies quite useful. There are many different types of ETFs. Some are more like index funds focused on specific exchanges or industries, while others are similar to more conventional mutual funds. The book spends a considerable amount of time looking at the advantages and disadvantages of each type. One or more ETFs can be an important part of your investment portfolio, but they should not be the only part. They work best when matched with other investment types like stocks or bonds. ETFs combine the benefits of both stocks and funds. 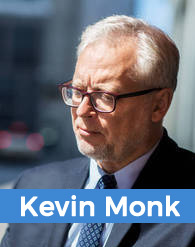 Because they use a basket of securities or commodities, they offer lower risk and better diversification just like funds do, but at the same time can be bought and sold on the exchanges, making them more fungible and liquid than investments in bonds. This flexibility does come at the cost of generally lower returns, however. The same fundamental principles apply to trading in ETFs as they do for stocks, funds, and bonds. It is still all about setting realistic goals, managing your risk and performing the required due diligence on any potential investments. The book’s easy tone and clear descriptions of the complicated concepts that underlie ETFs are one of its strongest suits. Understanding how ETFs work can be a daunting task even for experienced investors, but the focused and practical writing style of the book makes it easy. There are also plenty of practical examples, including an excellent sample portfolio chart that is perfect to use as a baseline to construct your own. The analysis of the different kinds of ETFs is also very thorough. These investments can be very different from one another, and Investing in ETFs For Dummies does a very good job of pointing out the particular traits of each one and what they mean to potential investors. While the focus on the different varieties of EFTs was helpful in understanding them, the later sections of the book felt a little constrained by comparison. Similarly, the book feels like it can’t quite decide between being a book solely about EFTs and a book about more general investment principles. As a general investment introduction, it is a little simplistic, while much of the general advice will not be new information to experienced investors looking to just learn about EFTs. Even for many experienced investors, EFTs can be a confusing type of investment. Investing in ETFs For Dummies lifts that veil of secrecy by going over their history, how they work, and introducing the different types that are available, along with some good investment advice that applies beyond EFTs to other investments. It is a good book for new investors and ones looking for a general introduction to the concept, though experienced ones may prefer a more specialized text. I’m a self-made man from Texas. I graduated from the Texas University in Austin with a degree in Finance and the one thing that brought me where I am today is one marvelous idea I had back when I was 25 – to retire early. And I did just that, by studying the market and then starting to invest. Now I have a gorgeous wife, Tina, and two wonderful boys, aged 15 and 17 whom I hoped would both become baseball players! What Is Goodwill in Accounting? Feeling Broke and Hopeless? Don’t File for Bankruptcy Until You Read This!